If you thought getting rid of the mini jack would be exclusive to Apple, you've got another thing coming. The Android universe could follow in the steps taken by Cupertino (and Lenovo). USB-IF, one of the major authorities in USB ports and the ones responsible for the release of the type-C a few years back, have introduced a new specification that could – in the long run – checkmate the mini jack. The USB Audio Device Class 3.0 specification is presented as the "primary solution for all digital audio applications, including headsets, mobile devices, docking stations, gaming set-ups and virtual reality solutions". In their press release, USB-IF urged businesses to adopt this sound system to improve quality and make the USB Type-C the standard in smartphone audio, similar to Lightning for iPhones. 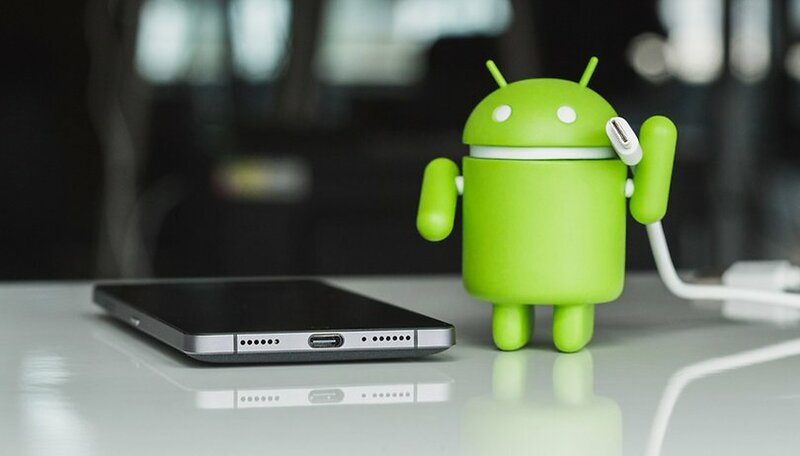 These statements, combined with the decision by Apple to forego the mini jack, make it quite likely that Android manufacturers will take this step with their next devices. This isn't the first time that they have tried to impose the use of the USB Type-C over the mini jack though. In April of this year, Intel openly proposed using this port technology to do away with the 3.5mm mini jack. The USB Type-C has some clear advantages, not only in terms of sound but also charging speed and data transfer. Just this year, Lenovo's Moto Z chose to replace the 3.5mm mini jack with a USB Type-C, months before Apple's announcement. Many see this move as an opportunity to make more money on accessories and to make things complicated for users and businesses. The reality is that many sound accessory manufacturers have been quite optimistic about the sudden disappearance of the mini jack on the iPhone 7 this year. Bluetooth headset sales have skyrocketed in the last few months which indicate that consumers have a desire for a change in the system. From what is known about the major manufacturer's next flagships, it doesn't seem that any of them will forego the 3.5mm mini jack in the foreseeable future, but it's still possible the change could happen in the next few years. It may pain you, you may be against it, but the fact is that this connector has been around since the 1950's. So, maybe it will change. What do you think about the mini jack on Android? Do you think it will be there in a few years on Android devices? Why not add two USB-C ports. One to charge your phone placed on the bottom and one special for good sound quality headsets on the top. What do you think? You would still have an extra port. Unless, of course, you could charge even faster while charging with both ports. This could be an added benefit that could make it worth it for some. Thank you for your comment Alex. While I think you're right that it is annoying to not be able to listen to your music while charging your device, as I often find myself doing, I do think that removing it saves space and could contribute to thinner devices. It took me to read the whole article and all the comments (specifically Dazzler's) to realise you were talking about the headphones socket. I realise this is a tech site and that's the correct term, but you couldn't make things just a smidge easier, could ya? Sigh, another thing to keep charged. Or another adapter to lose. I've been using Bluetooth headsets and speakers for the last year or so, the only negative thing is the overall sound quality could and should be better. If USB/c can improve the sound quality then it's a good move. Having a universal port across the range of Android devices makes sense. "Just this year, Lenovo's Moto Z chose to replace the 3.5mm mini jack with a USB Type-C, months before Apple's announcement." My biggest issue with all this is that they aren't "replacing" the jack with another port - they are removing it and going from 2 ports to 1. I can definitely imagine issues with the port being broken by walking / sitting down with the headphones in, then you will be unable to charge your phone with the cable. I also don't want wireless headphones, the buds can easily be lost, but even headphones are just another device that needs to be charged. Just my opinion though! I'm sure there are plenty of people who view this as progress and would be more likely to buy a device without the port. 3.5mm jack I'm surprised it's lasted this long ..
now really ..it's history, gone, and in 2/3 yrs time mostly forgotten.. wireless tech will improve and all will be well..